On the hunt, one Farmers Market at a time finding the freshest, organic and local food in Ontario to feed my family. From my family to yours, enjoy! I'll share with you some of my favorite recipes from my cookbooks of the week. You know those days when you just don't feel like making your own soup? Do you go to the grocers only to be a disappointed with the selection on boxed and canned(loaded with BPA's mind you in the cans lining) soups. Not to mention other chemicals like MSG and then some. As a mom sometimes I just want to grab something free of chemicals, quick and easy to make where I can just simmer and feed. Yes, I normally do cook but sometimes when I am sick or so, who's going to make soup for me? 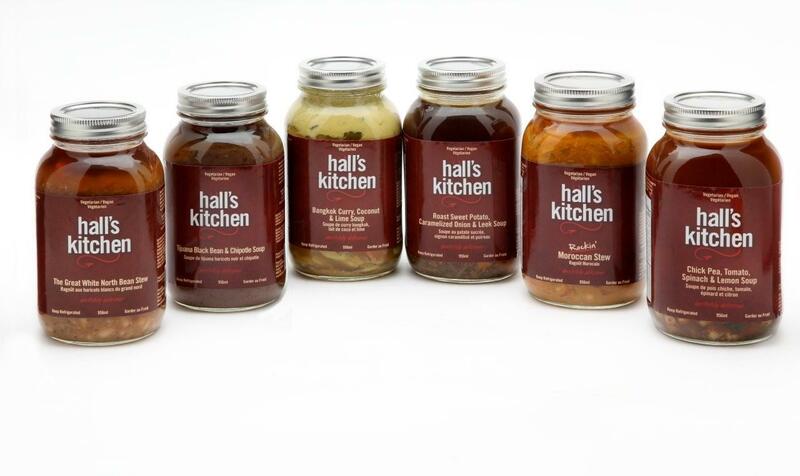 Halls Kitchen is. I love that they support local and organic farming, they use fresh vegetables that are free of chemicals and preservatives. The whole line is GMO free. Another key point: Their products are made in small batches and DO NOT use aluminum, teflon or any plastic, non stick cook ware due to the potential health risks. 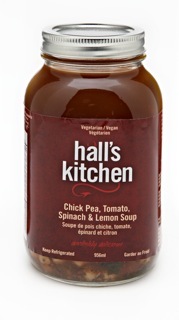 I was sent some delicious, healthy and vegan ( I do though miss the full fat stock, so you won't find this in their soups as they are vegan ) Halls Kitchen products to review. Chick Pea, Tomato, Spinach, Lemon Soup: Loaded with fibre and super healthy. You can also add your own seasoning to get acquired taste you like. This was good. 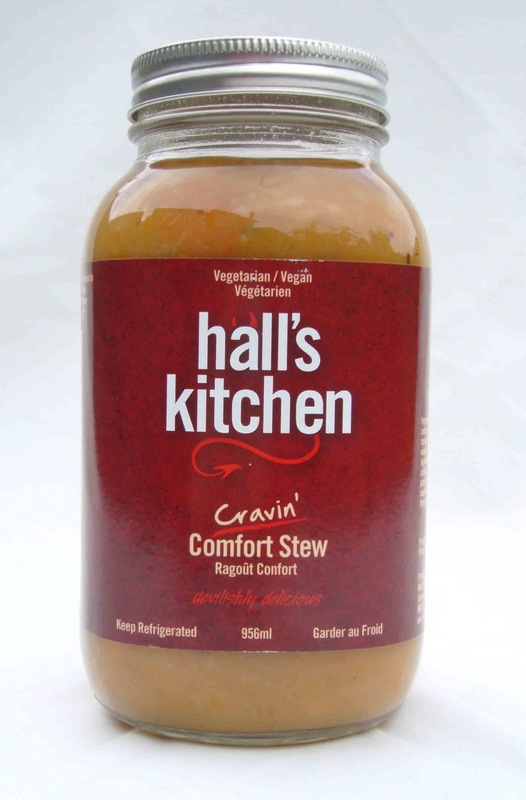 Cravin Comfort Stew: Sweet and savoury with Ontario root vegetables. I picked this with my son in mind. I also made some barley with this and this was beyond comfort, we loved it and gobbled it up. Throw in some pulled pork for more flavour and it is divine with these veggies. Lemon White Wine Cream Sauce: Loved that they use one of my favorite dairy farmers, Hewitts this was divine. I used this on salmon and a little got on the roasted asparagus. The light tang of lemon in this cream sauce was a perfect blend. I'm even thinking substituting hollandaise for this! 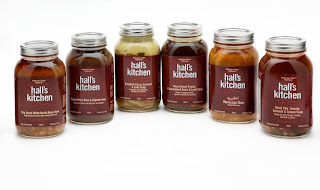 Such a great local company to come across Ontario, I love all the considerations they put into making their product and Halls Kitchen is a favorite in our household. WATCH THE TRAILER FOR FOOD INC.